With holiday parties and visiting relatives, December can be hectic and nerve-wracking for all. The Smithsonian Libraries comes to the rescue with a stockpile of works to help you navigate the muddy waters of social and familial obligations! 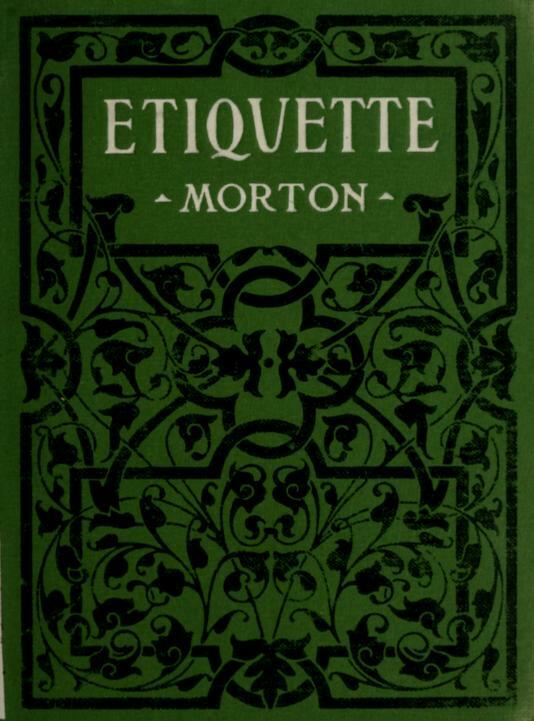 As part of the Cultural Heritage Library, the Smithsonian Libraries has digitized at least nine etiquette books from the late nineteenth and early twentieth centuries. These precursors to Emily Post, the grande dame of American etiquette who first published in 1922, give us a glimpse at the social expectations of the time and may put some of your modern day conundrums in to perspective. 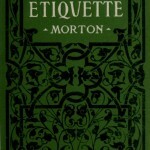 Agnes Morton’s Etiquette : good manners for all people ; especially for those “who dwell within the broad zone of the average” (1911), didn’t intend to belittle her “average” audience, but instead to translate the etiquette written for the “ultra-fashionable” to people of “moderate means and quiet habits of living”, the typical work-a-day folk. It avoided topics like formal state dinners in favor of chapters on “Behavior in Public Thoroughfares” (a chapter that could come in quite handy when lumbering home on a Metro car jam-packed with New Years’ revelers!). 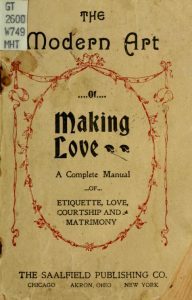 The title of James Wilson’s The modern art of making love (1900) is certainly enough to make any librarian blush, but though it may sound risque to us, Wilson’s book was not a guide to hanky panky but rather to good old-fashioned courtship. It included chapters on the veiled overtures a lady might telegraph via “Postage Stamp and Handkerchief Flirtation”. If you wish to truly convey “I love you” with your holiday cards, try sticking your stamp upside down on the left corner. On second thought, the United States Postal Service would probably argue against that. 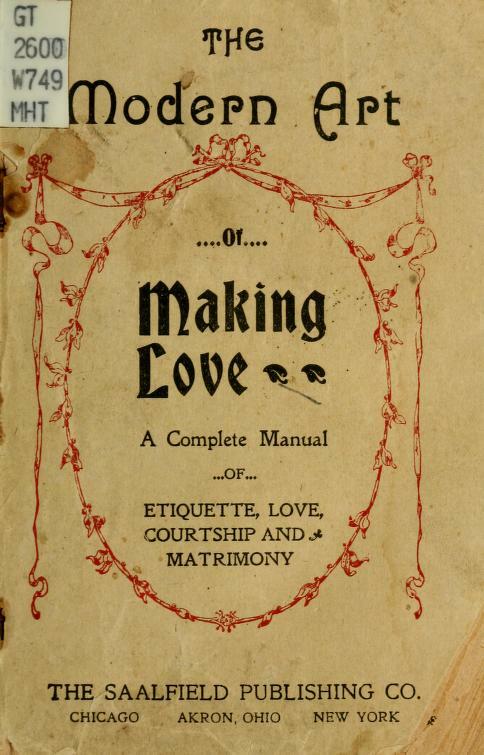 Cecil B. Hartley’s The gentlemen’s book of etiquette, and manual of politeness (1873), is a gender-specific tome, combining advice from “the best French, English and American authorities”. Modern men who fear parties with dancing will find little solace in Hartley’s words (“Never stand up to dance unless you are a perfect master of the step”), but common sense rules on table manners are well appreciated at any holiday dinner. Whether you are braving the crowded shopping malls, enjoying Christmas dinner with Great Aunt Edith or toasting New Year’s with friends, you’re sure to find some sage advice (or at least something worth a stress-relieving chuckle) in the pages of these manuals of manners!